A common virus found in many healthy people can cause a rare but potentially lethal brain disease in those with altered or weakened immune systems. It can strike people with untreated HIV/AIDS and those receiving immune-modifying or suppressive therapies for autoimmune diseases, cancers, and transplants. Among multiple sclerosis (MS) drugs, natalizumab treatment has posed the biggest risk of the brain infection, called progressive multifocal leukoencephalopathy (PML). No specific therapy exists for PML. Clinical care focuses on reconstituting the immune system, which can further damage the brain by ramping up the immune response against the infection, a process called immune reconstitution inflammatory syndrome (IRIS). Now, two research teams say they may have found an unexpected way to prevent or treat PML in people with relapsing-remitting MS (RRMS) and other conditions. One team came up with a vaccine that can boost overall immune response against the virus, a prophylactic tactic to prevent the raging brain infection (Ray et al., 2015). Another group reports that an antibody mix engineered from PML survivors may be a promising treatment for those who develop PML (Jelcic et al., 2015). The two papers were published together online September 23 in the journal Science Translational Medicine. The new studies use too few patient samples and test cases to be definitive, but the results position both strategies for the next step of clinical testing, say the authors and others interviewed by MSDF. Independent of the potential therapeutic application, the findings also add fuel to a debate about the underlying mechanism of PML. Concern about PML discourages people from choosing a highly effective treatment for RRMS and limits the time they can take it, said David Clifford, MD, a clinical neurologist at Washington University in St. Louis, Missouri, U.S., who was not involved in the new studies. As of September 4, drugmaker Biogen has reported a total of 588 confirmed PML cases since 2004, for a global PML incidence of approximately four per 1,000 natalizumab-treated patients, according to a company spokesperson. Regulators, patients, and doctors also have a lingering concern about the PML risk that may lurk in a growing number of newer experimental immunological drugs for MS and other conditions. The first report of PML in 1958 described a brain disease with scattered demyelination in three people with Hodgkin’s lymphoma. The viral cause of PML was discovered in 1971 and named JC virus (JCV) for the patient’s initials. PML surged onto the scene in the early days of HIV, when PML became a common and severe opportunistic infection. It was a virtual death sentence for about 5 percent of all people with untreated HIV, which depletes a major type of T cells. Now, antiretroviral therapy has greatly decreased PML cases, but HIV still accounts for the vast majority of deaths due to PML (Gheuens et al., 2013). Then came a surprise. A 2005 report linked PML with monoclonal antibody therapy, specifically natalizumab (Tysabri), in two people with MS and one with Crohn’s disease. Natalizumab blocks a receptor on T cells and prevents them from crossing from the blood into the brain. The drug was withdrawn from the market for one year. Another PML-associated therapy for psoriasis, efalizumab (Raptiva), was removed from the market in 2009. Natalizumab disproportionately predisposes people to PML, said Joseph Berger of the Perelman School of Medicine at the University of Pennsylvania in Philadelphia, U.S., in an April 21, 2015, MSDF podcast. Several other MS drugs carry a lower risk of PML, including dimethyl fumarate (Tecfidera), alemtuzumab (Lemtrada), and fingolimod (Gilenya), as well as rituximab (Rituxan), an anti-CD20 antibody targeting B cells that is also used for hematological and other autoimmune diseases. PML prevention now relies mainly on prescreening high-risk patients and prescribing natalizumab for only a limited time, as well as close monitoring of people on any drug associated with PML. About three-quarters of people with natalizumab-associated PML have survived the illness, often with irreversible brain damage and disability (Berger, 2015). To some, the notion of boosting antibodies to a potentially deadly virus may seem, well, obvious. After all, such vaccines routinely save lives, from childhood infections to seasonal flu to cancer from the human papillomavirus (HPV). But antibodies had not seemed important in PML. Instead, research in the small PML field has focused on the clear central role of T cells and the way the virus enters brain cells and replicates. Evidence from people with MS seemed to confirm that antibody-based immunity is nearly worthless in PML. For example, high levels of JCV antibodies mean a greater risk of PML from natalizumab, an observation that applies to about half of people with MS and is now used in a prescreening risk algorithm. On the other hand, antibodies also skyrocket when the reconstituted cellular immune system fights PML. “You have to look at the right kind of antibodies,” added Diana Pastrana, PhD, a senior staff scientist in Buck’s lab and co-author of the paper, referring to specific neutralizing antibodies of JCV variants. They hypothesized that PML may arise from JCV mutants that evade the immune system. To investigate that possibility, they started with cell assays. Serum from PML patients neutralized the wild-type JCV but not the JCV mutants commonly found in the brains of people with PML. In contrast, most of the serum from healthy people effectively neutralized all JCV types. In mice, the researchers were able to close these antibody “blind spots” to the JCV mutants with a general vaccine made of viruslike particles (VLP). The same VLP technology is used in the HPV vaccine and others on the market now. A single human test was conducted in a woman with PML, age 75, in Italy. The experimental vaccine showed a marked increase in cross-neutralizing antibodies against JCV. Her detectable JCV load vanished, but the vaccination did not rouse her from a coma. Last year, co-author Roland Martin, MD, a neurologist at University Hospital Zurich, Switzerland, had reported testing another active vaccine in two PML patients, using the viral shell protein, VP1, and the T-cell boosting adjuvant interleukin-7 (Sospedra et al., 2014). At the time, Martin and his colleagues were focused on T cells, not antibodies. In both people, the brain disease was due to a low T-cell count not related to HIV/AIDS or therapeutic drugs, and so there was no obvious way to boost their immune systems by starting medicine or withdrawing drugs. A man, 64, had a hereditary immunodeficiency, CD4 lymphopenia. A woman, 42, had had chemotherapy for breast cancer, needed autologous and later allogeneic stem cell transplants, and then developed graft-versus-host disease. After the vaccine, the two patients improved or stabilized by clinical measures, but were left with brain damage and disability from the PML. In the second new paper, Martin and his group followed up on the evidence from Buck’s team that antibodies by themselves may control JCV when T cells fail. Martin’s Zurich clinic sees about three-quarters of all PML cases in Switzerland. The group generated monoclonal antibodies from memory B cells of healthy donors and of those that had recovered from PML. The antibodies most effective in cell assays were derived from one MS patient who had recovered from natalizumab-associated PML. The researchers identified 30 engineered antibodies that helped cross-neutralize multiple variants. Active vaccination boosts an existing T-cell response and then eliminates a virus with combined T-cell and antibody response. In contrast, “a virus-specific monoclonal antibody would be a treatment, or passive vaccination, because it is not the patient's own immune system but antibodies that are injected,” Martin told MSDF. The two approaches work at different times. Active vaccination has the advantages of being longer lasting and useful as prophylaxis, he noted. The passive vaccination, or treatment, with the monoclonal antibodies can be given immediately at diagnosis and probably acts more rapidly (if it works), and likely has a lower risk of strong IRIS with brain swelling. Buck and Martin first met and discovered their mutual enthusiasm for vaccination amid the general skepticism at the first scientific meeting in 2013 in New York of the PML Consortium. The consortium was formed by several companies in 2009 to better predict and prevent PML from treatments that modify or suppress the immune system. This August, when they presented their results at the latest meeting at the meeting in Sweden, they found a surprising groundswell of interest in the strategy, as well as vigorous debate about what it all means for understanding PML. JCV probably infects most people. The virus may hunker down harmlessly in the kidneys, bone marrow, and even brain, kept under control by T cells for all of a person’s life, as part of the normal microbiome of humans, causing no discernible symptoms. The premise of the two papers rests on the assumption that the virus replicates and mutates, leading to PML. In the brains of people who have died from PML, scientists have found mutations in the JCV protein shell. Scientists still don’t know whether the surface mutations help JCV enter the brain and cause PML or whether the protein shell evolves when virus already in the brain goes wild in the absence of T cells. “We know these mutations occur,” said Robert Garcea, MD, a virologist and pediatric oncologist at the University of Colorado, Boulder, U.S. “We don’t know if they are a cause or effect” of PML. Garcea is on the scientific advisory board of the PML Consortium and was not involved in the new studies. “These papers cause a lot of excitement about developing therapies or prophylactic vaccines for the side effects of wonderful drugs,” he told MSDF. Atwood welcomes the new therapeutic strategy proposed by the papers, but he doesn’t think they answer key questions about how JCV causes PML. “We don’t think mutants are driving the disease, we think the disease is driving the mutants,” he told MSDF. The mutants may contribute to the spread of disease in the brain, but they are not required for PML, he said. The active and passive vaccination discoveries are protected by patents. From Martin’s group, the monoclonal antibody approach used in the passive vaccination is under a patent licensed by the University of Zurich to Neurimmune, a small biotechnology company near Zurich. The active vaccination patent based on Martin’s earlier study has been licensed to Neuway Pharma Bonn, a biotech startup in Germany. NCI has applied for a patent on the VLP vaccine technology and is engaged in cooperative research and development agreements with MedImmune, the biologics research and development arm of AstraZeneca, a British-Swedish company headquartered in London, and with Biogen of Cambridge, Massachusetts. Despite the interest of drug companies in preventing PML, the disease is so rare that they may hesitate to launch an expensive clinical trial, several experts told MSDF. Will a broadly neutralizing JCV VLP vaccine prevent PML in people? Will antibodies engineered from memory B cells of PML survivors be effective in treating PML? How will the clinical trials be designed to evaluate safety and effectiveness of such a rare disease? How does the virus get into the brain? Is it there all along from an early childhood infection? Does the virus replicate somewhere else and acquire mutations that allow it to get into the brain? What is the role of mutated JCV in PML? Ray et al., 2015: The work was funded in part by the U.S. National Institutes of Health, the Center for Cancer Research, and the Italian Ministry of Health. Competing interests: C.B.B., U.R., and D.V.P. are co-inventors on U.S. patent application (61/919,043). R.M. and S.S. are co-inventors on European application (Application No./Patent No. 11006031.6-2406), which has been licensed by the University of Zurich to Neuway GmbH, Bonn, Germany. All other authors declare that they have no competing interests. Jelcic et al., 2015: This work was supported by the Commission for Technology and Innovation, Switzerland, with support from the U.S. National Institutes of Health, and University of Zurich, Switzerland. B.C., I.J., R.M., and J.G. are listed as inventors on a patent of the human monoclonal antibodies against JCPyV VP1 for the treatment of PML. J.G. and R.N. are employees and shareholders of Neurimmune. B.C. and L.S. are employees of Neurimmune. The remaining authors declare no competing interests. Broadly neutralizing human monoclonal JC polyomavirus VP1-specific antibodies as candidate therapeutics for progressive multifocal leukoencephalopathy. Jelcic I, Combaluzier B, Jelcic I, Faigle W, Senn L, Reinhart BJ, Ströh L, Nitsch RM, Stehle T, Sospedra M, et al. Editorial for JNV issue on PML. Treating progressive multifocal leukoencephalopathy with interleukin 7 and vaccination with JC virus capsid protein VP1. Sospedra M, Schippling S, Yousef S, Jelcic I, Bofill-Mas S, Planas R, Stellmann J-P, Demina V, Cinque P, Garcea R, et al. 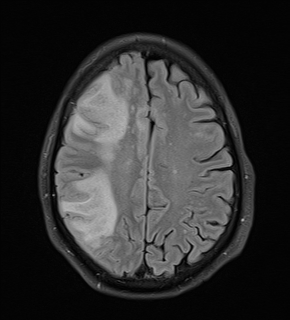 Progressive Multifocal Leukoencephalopathy: Why Gray and White Matter.